With back related injury being one of the most commonly occurring health problems in the workplace, it is of high importance for offices to find the proper solution to help prevent and combat such condition. It has become highly evident in this day and age that the best possible answer to help prevent work-related injuries is to incorporate ergonomic solutions into the workplace. 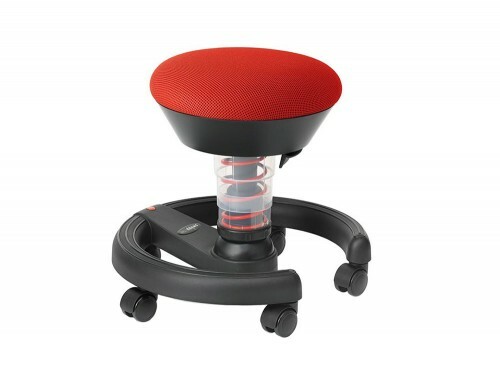 Not only is an ergonomic workstation highly beneficial in terms of preventing physical health-related problems that can occur in the office, it also increases productivity and efficiency of workers. 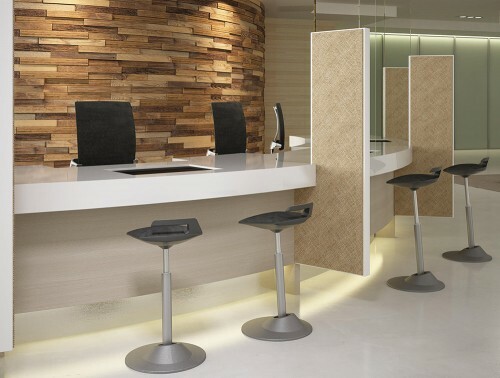 Chairs are an essential part of the office and it is one of the most used pieces of furniture whether it be in a corporate or home office setting. 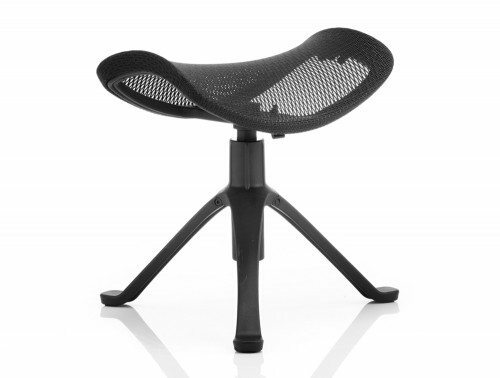 Ergonomic sitting has largely been implemented by plenty of offices because of the many benefits it brings. 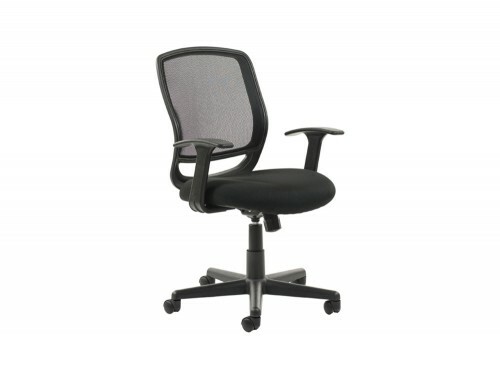 Our E-commerce website offers a wide range of the best ergonomic office chairs for back pain and lumbar support. Whether you are looking for a simple ergonomic desk chair, ergonomic executive office chair or an ergonomic computer chair, you can be sure to find the perfect chair to complement your needs with the wide selection we offer. There is a variety of ergonomically designed office furniture available to choose from in our range of chairs like kneeling chairs, sit-stand stool chairs, high back armrest chairs and lumbar support ergonomic chairs. 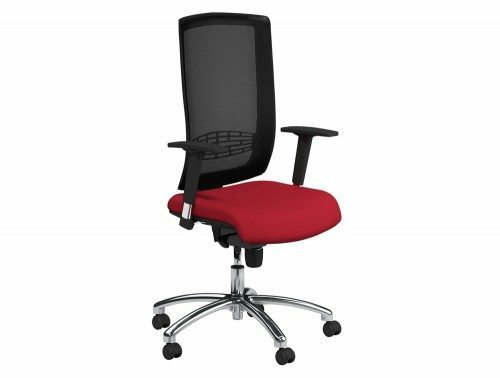 Our range of posture chairs is offered in a broad range of different material variations, colour and design to specifically meet your particular needs whether it be a more modern, stylish ergonomic computer chair or a simple but durable posture office chair. 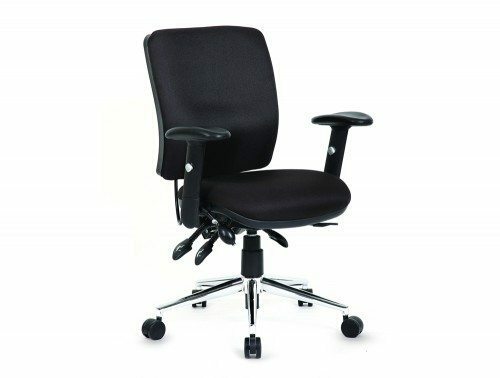 From executive leather ergonomic chairs to faux orthopaedic leather chairs, ergonomic mesh chair or fabric ergonomic office chairs with chrome finishing’s, you can be sure that you will find the perfect office ergo chair for a more ergonomic friendly workstation. 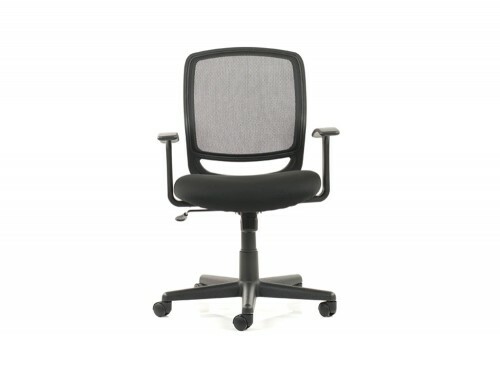 The ergo chairs available provide outstanding features to help prevent back-related trauma in the workplace. 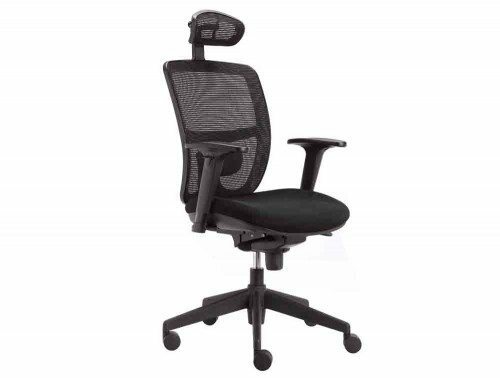 Our ergonomic Profim mesh chairs feature adjustable armrests, seat & height adjustment, tension adjustment, headrest support and lumbar support features. 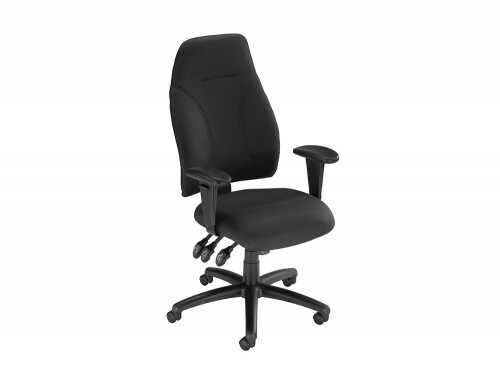 A variety of our ergonomic chairs are also fitted with deep contoured seat foam cushions for a guaranteed maximum comfort. Over the last number of years, more and more companies are now realising the importance of an ergonomically designed workplace. 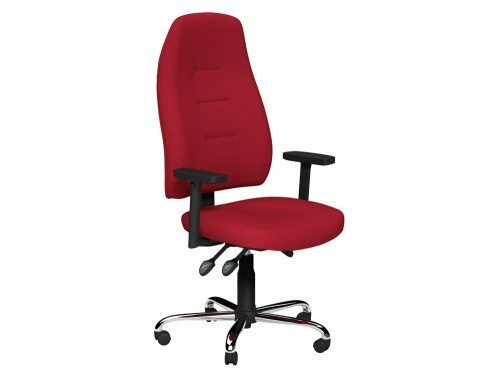 With this being said, office chairs are probably one of the most important pieces of office furniture to be ergonomically friendly as it is used by workers for long periods of time. 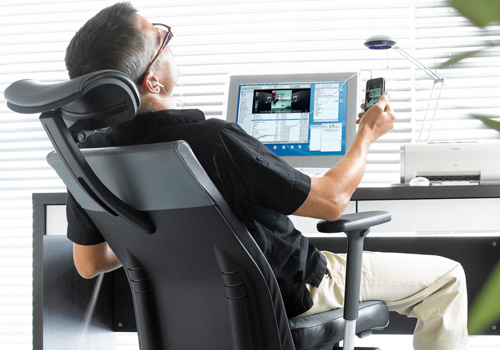 A wide selection of our posture chairs has been professionally tested and approved for up to eight hours recommended of usage to provide the highest quality of ergonomic office chair to help battle the problem of back pains that can occur when sitting for a long amount of time. 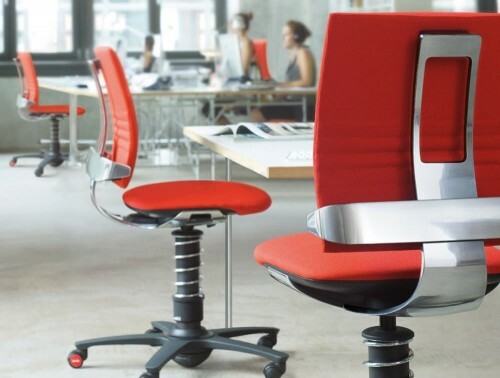 Not only does having ergonomically designed office furniture beneficial regarding the health of your employees, it is also highly beneficial for the business in the long run as it helps ensure high levels of productivity and can also help reduce the costs of work-related compensation for injuries. There is a choice of ergonomic kneeling chairs from reputable brands such as Trexus, Varier and Dynamo which are better suited for less formal working environments. 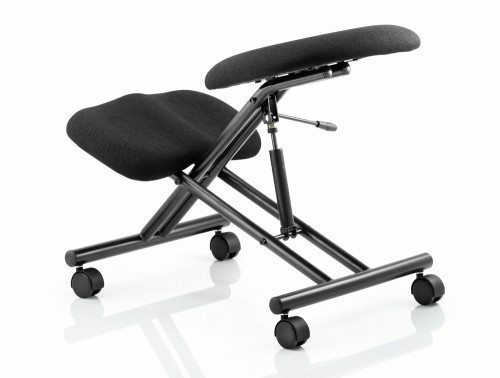 These are fitted with adjustable height features and cushioned knee pads for high levels of comfort and support. 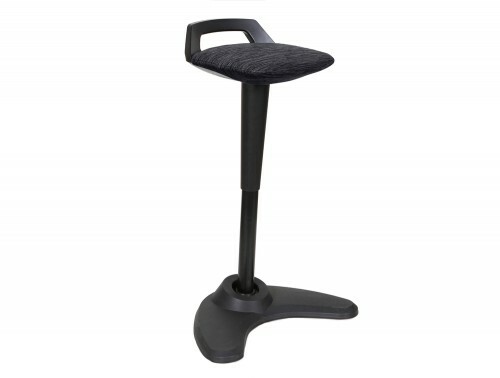 Sit-stand stool ergonomic chairs from the Varier brand range are fast becoming one of more popular choice for offices nowadays. 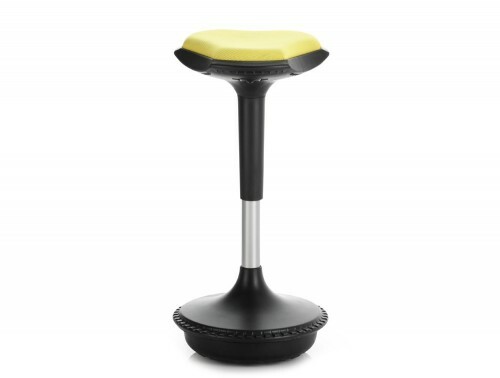 These ergonomically designed stools help strengthen core muscles, reduce strain on knees while helping improve circulation. 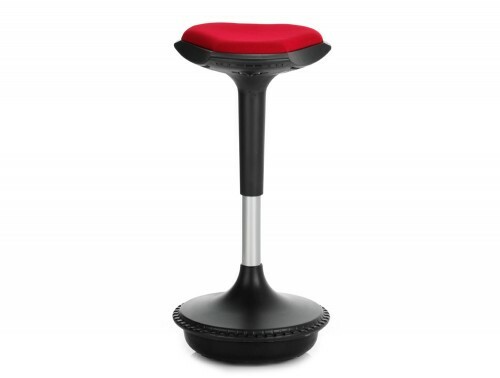 The stools can be mobile or fixed and are perfect for a small home office space. 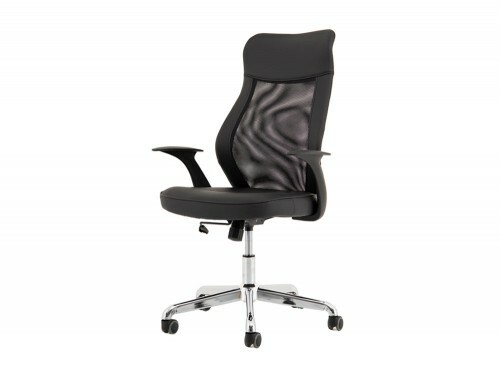 There is also a vast selection of modern high back ergonomic chairs available for a more professional office look. 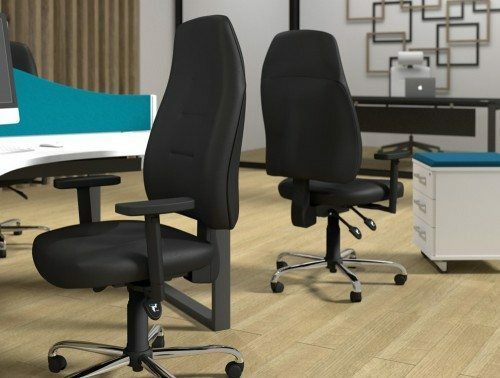 One of the more important features which our ergo chairs offer is high-quality lumbar support, this is especially important and extremely beneficial for those who suffer from back related problems. 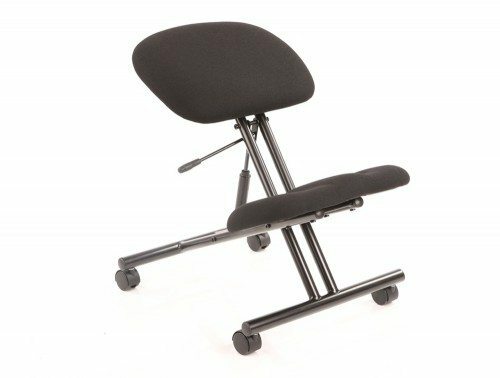 The lumbar support feature ensures the user is fully supported whilst working providing additional contouring around the lower back. 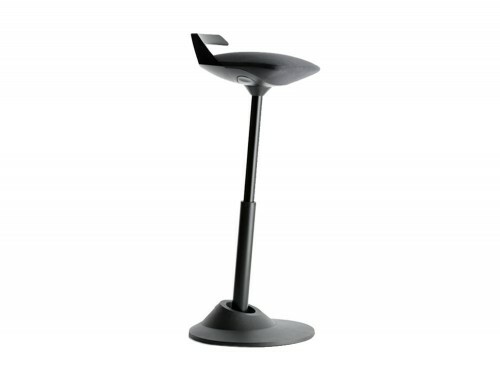 The adjustable armrest feature ensure that your employees are seated in the most comfortable position whilst working. The adjustable support can be moved up or down to provide support to the forearms, reducing the risk of injury or strain. 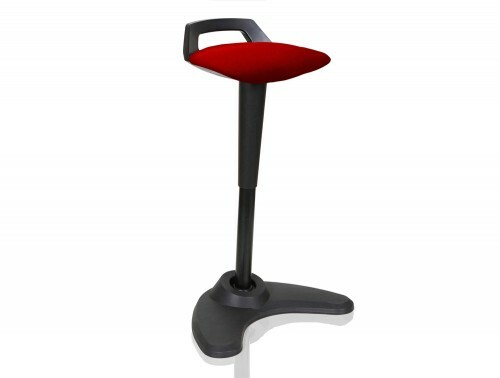 The seat height adjustment feature reduces pressure under the thighs allowing for a more comfortable experience whilst sitting down. 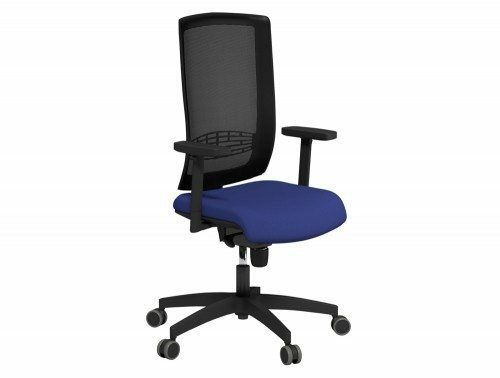 Our Dynamo Ergo dynamic posture chair fitted with headrest offer additional support in the neck and back area while enhancing a more professional, executive look for the workplace. 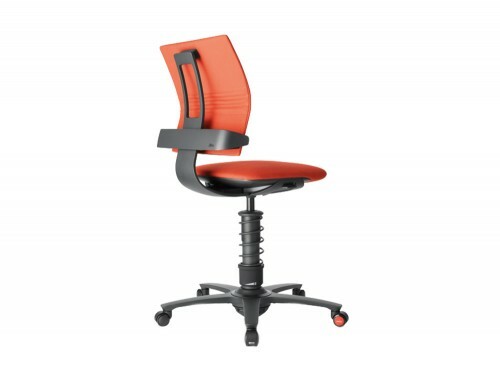 Lastly, the tension adjustment support in our ergonomic task chairs enables the users to increase or decrease the setting to match their body weight. 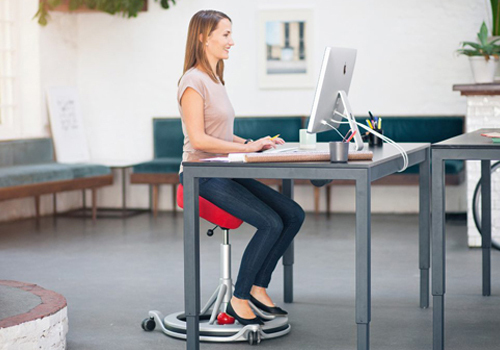 Not only does it reduce muscle fatigue by a significant amount, it also allows for a greater freedom of movement when working. 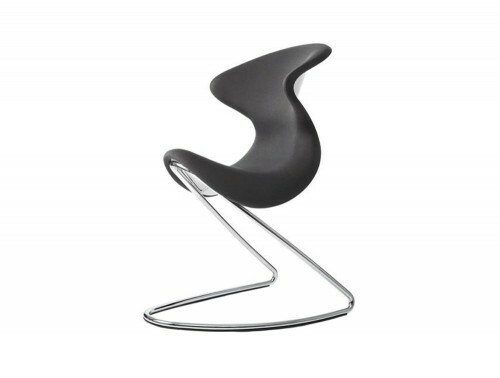 Here at Radius Office Furniture, we try to provide for everyone’s needs and find the perfect solution that fits in your specific price budget, that is why we stock chairs that are designed to be affordable; both new and used. 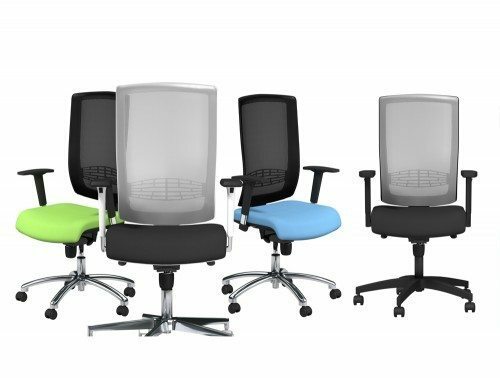 Our ergonomic office chairs have been designed by some of Europe’s leading suppliers, including Profim, Trexus, Back App, Dynamo and Varier. 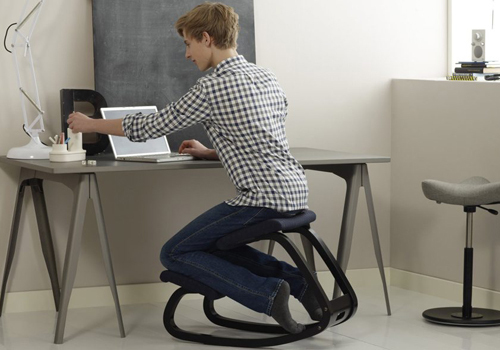 With this in mind, you are guaranteed the highest quality of ergonomic chair in your price bracket. 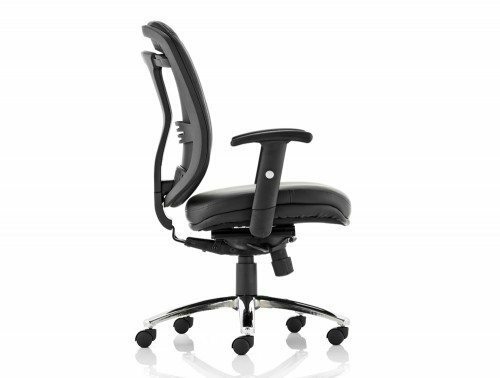 Furthermore, a wide range of our ergonomic operator chairs offers a warranty policy which guarantees a high standard of performance and quality for that time period. 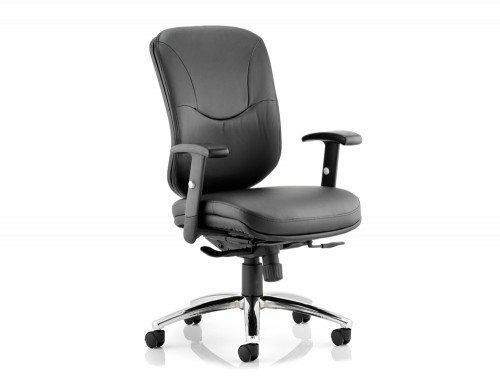 A variety of our ergonomically designed chairs has been quality- tested to ensure it meets the necessary standards for home and office use. If you’d like to find out more about our range of Ergonomic Chairs or discuss your requirements, simply request a callback.